I cast on for this sock on Friday. My other sock in progress was ready for a heel, and I needed something easy to bring with me over the weekend. I didn’t have time to ball up one of my skeins of sock yarn so I went for my Sock Hop which was already balled up. 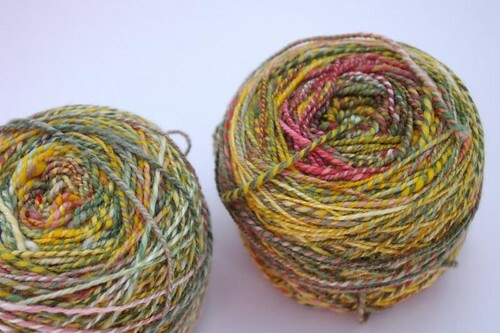 I got this Rasta Rasta Man colorway back in February from someone’s Ravelry destash. I happened to be on the Destash forum at the right time, and I had the money! and I just can’t decide if it’s plain ugly or not. What do you think? Keep going or rip out and go back to plain stockinette? Thanks for your input! 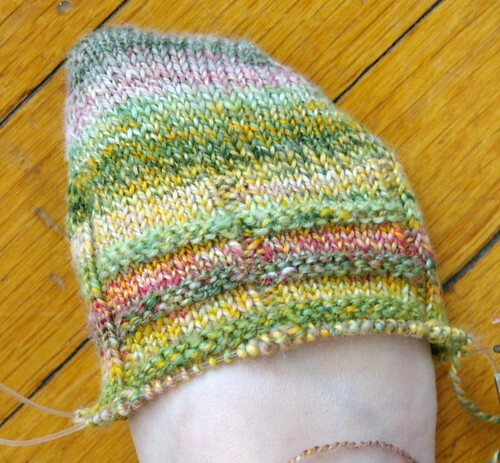 In the mean time, maybe I’ll just go knit a heel. Keep it. I think the purl rows add a nice variation. I think it might look great just plain. I like it. Think of it as dreadlocks across the foot. I like the detail that the purl rows bring to the yarn. I say keep it.